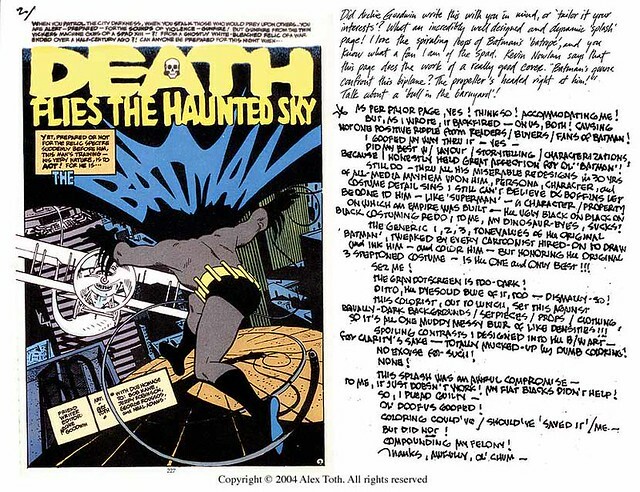 I just joined the Alex Toth: Toth of the Town group on Facebook. 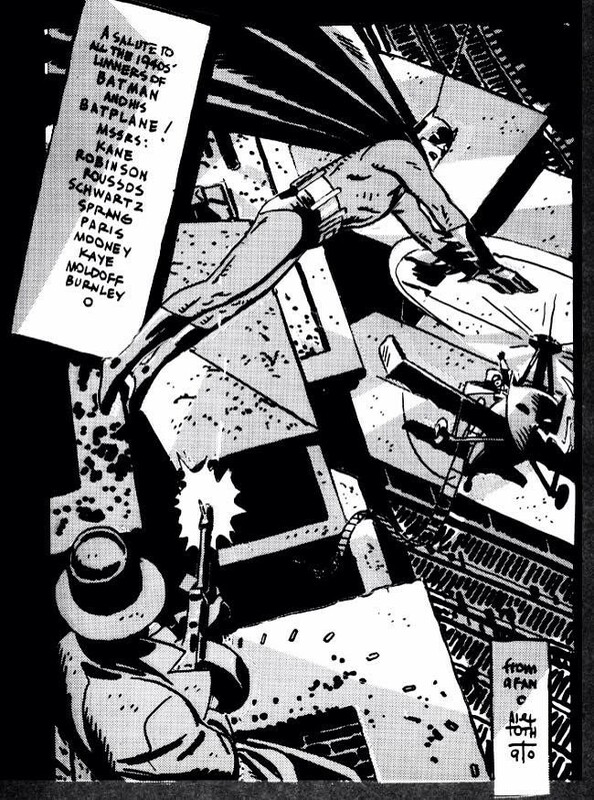 Lots of great Toth illustrations there, and stories too of Toth in the industry. I always love joining a group and seeing artwork that is new to me. 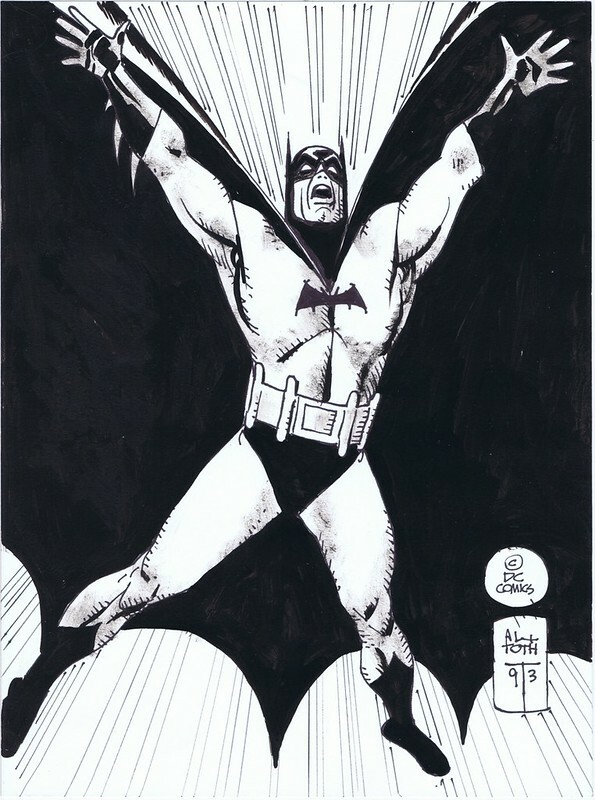 Toth did some great Batman illustrations in his day and I thought I would revisit some of them here. The one above is incredible! 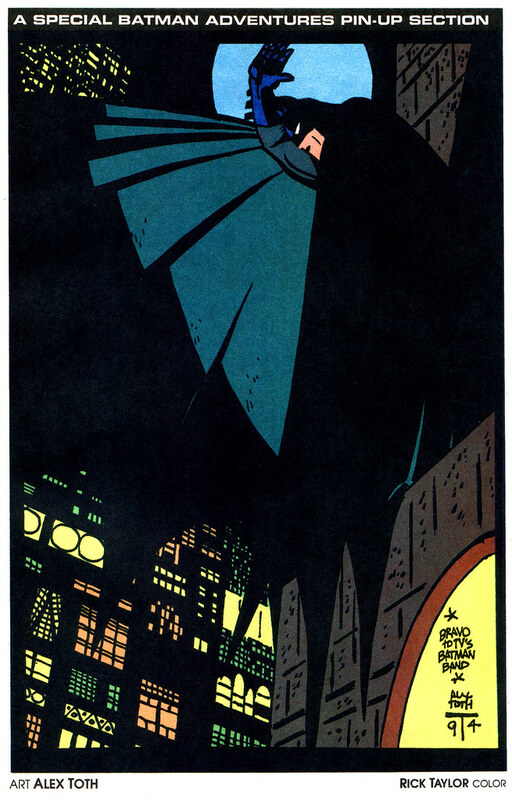 It is from Batman Adventures #25, 1994. Kind of stunned me as I had never seen it before. 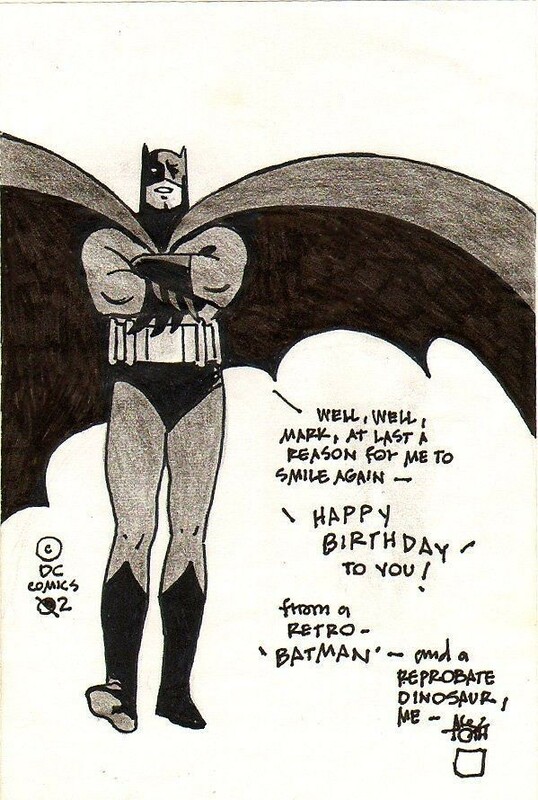 A birthday card he drew in 2002 for someone named Mark...Evanier? Chiarello? A 1990 salute to the the 1940s and the Batplane. This appeared in the Batman 3D comic from 1990. 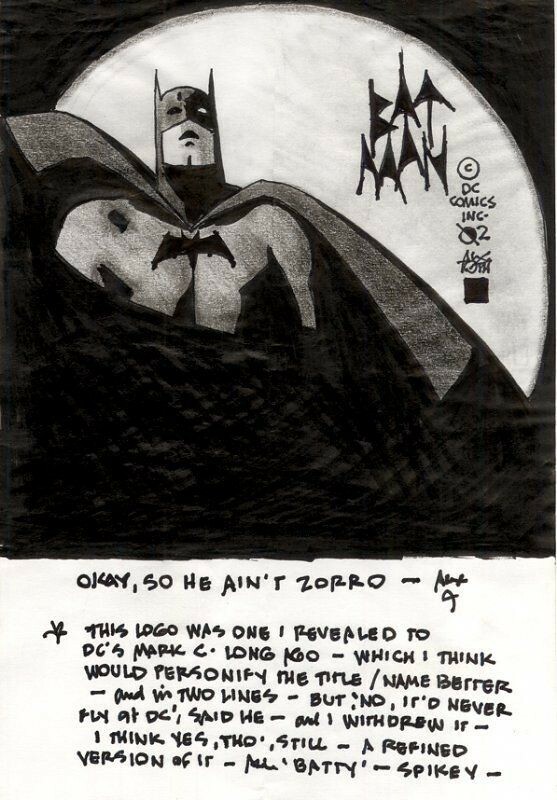 Toth giving his version of the Batman logo. I found this in Phil Hester's Comic Art Gallery, not sure where this originally appeared. Some anniversary issue for Batman or Detective? One of my favorite covers, so simple and elegant. 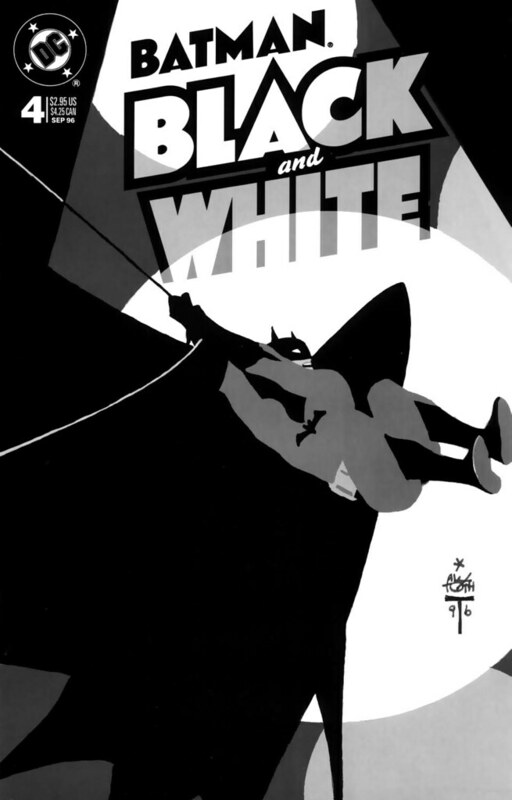 Batman Black and White #4 from 1996. 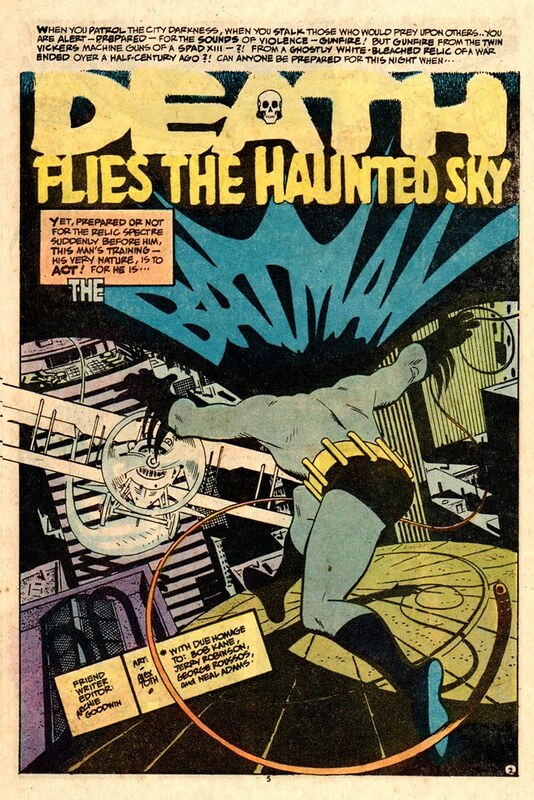 Detective Comics 442 was a great 100 page giant with the lead story by Toth and Archie Goodwin, Death Flies the Haunted Sky! I always admired the splash page here with the logo and the kinetic action. It would have made a great cover. While digging around I found this letter that Toth wrote explaining why he did not like the splash page and the colored / published result! I was shocked! I still think this is a masterpiece. But Toth had exacting standards for himself and others. Nuff Said.